Every week, Making A Mark gives an insanely talented artist some IADW brag-space. 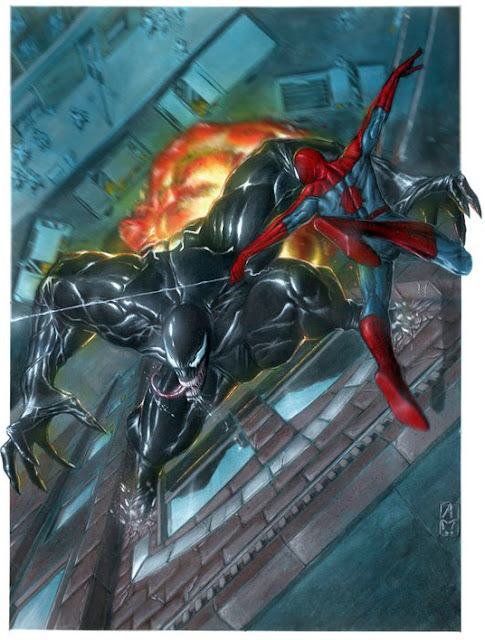 Today goes to Andrea Mangiri, an Italian illustrator who is a bit of a Hulk himself. By pencil he is a Bruce Banner-clever linesman, then by paintbrush, he is an unstoppable force of nature ready to rival Gabriele Dell'Otto as the strongest one there is. This is part of what I love about the Silver Sufer, the insane scale of his main adversaries. Thanos, Galactus, Mephisto - sure the Surfer is pretty powerful too, but visually the scale makes for iconic images and throw-downs every time. What do you think? Sound off below in the comments section or click here for more great Making A Markists. To see Andrea's DC works and a whole lot more, visit his Facebook after the jump. All of this is WOW! 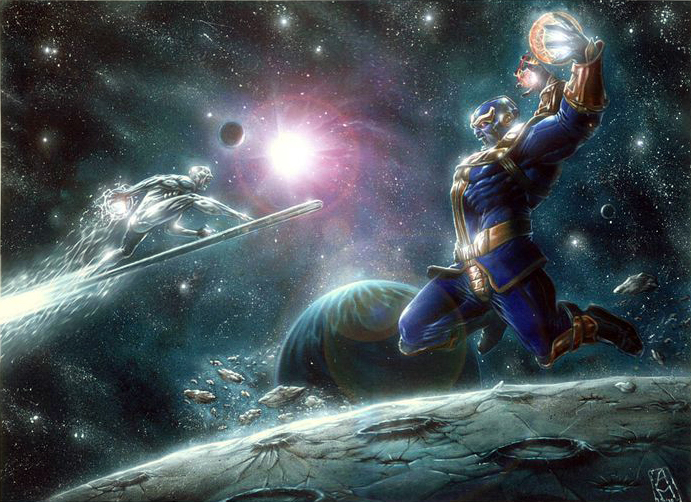 that first painting with Silver Surfer and Thanos is amazing. Same about Venom and Spidey. Glad you liked it too Aliera. Surfer just lends himself so well to being painted doesn't he? I wonder what fellow metal man Colosus would look like! Colossus isn't shown around much inthis kind of art. He could look great. Awesome, awesome art! 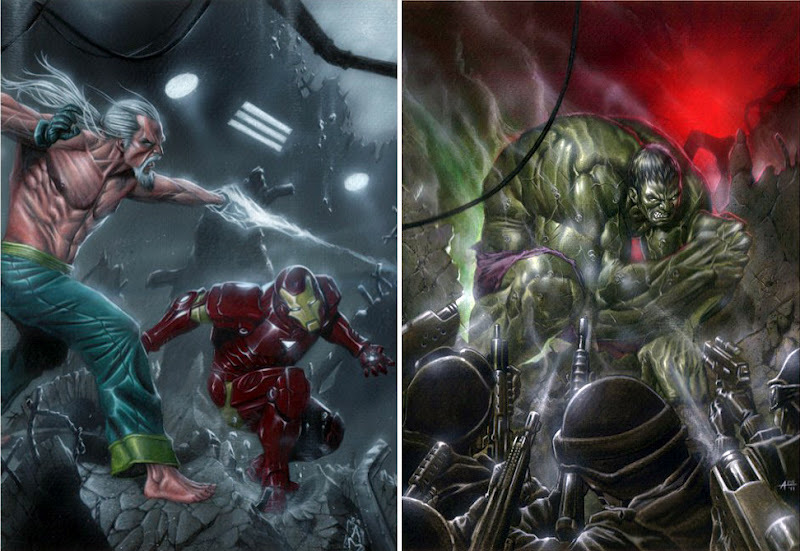 The Surfer/Thanos one would not look put of place as a cover on a trade or a poster or some lucky fan's bedroom. It sure wouldn't Dale - heck I'd even try to replicate it there myself. By the time Avengers 2 rolls around anything Thanos will be worth a mint!